Peridot is associated with the heart and solar plexus chakras, Peridot works to link, balance and stimulate those chakras. Bringing to you a joyful and uplifting energy. It is a stone of compassion, and increases our understanding of life changes and cycles, whether they be in relationships, lifestyle or employment. 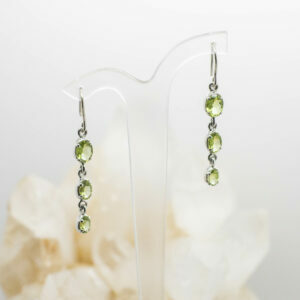 Peridot encourages intestinal fortitude, courage, perseverance, stamina and determination.